To put it in perspective, the phone is $100 more expensive than the most expensive iPhone XS Max. 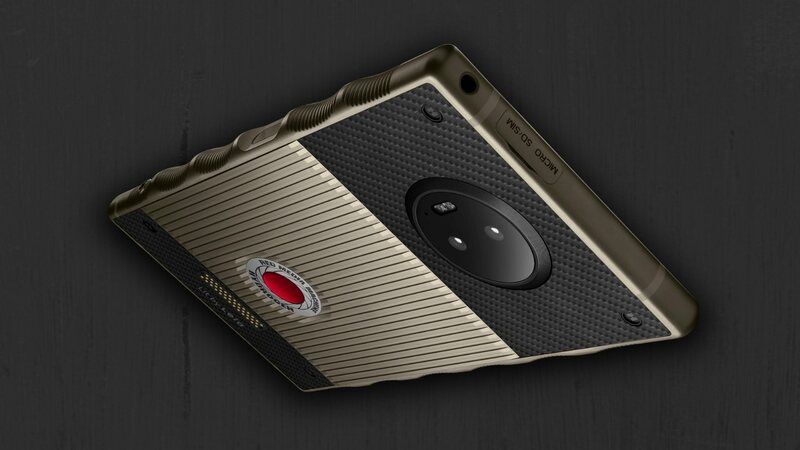 RED, a company known for its exceptional digital video cameras, may not have tasted success with its first ever smartphone, the RED Hydrogen One. The much-hyped launch of the phone was first delayed and even after it launched, nobody was particularly impressed. Well, if you're still interested in laying your hands on one, the more expensive titanium variant of the Hydrogen One is now ready to ship for $1,595. As per a report by The Verge, RED is selling this variant directly on its website and not through its carrier partners. To put the price in perspective, the phone is $100 more expensive than the most expensive iPhone XS Max variant. In terms of design, the look here is similar to the aluminum variant, but with more of a goldish tint to the metal. This variant also doubles the internal storage to 256 GB. The report adds that those who ended up pre-ordering this variant back at launch will be receiving the model without paying anything extra, on top of the aluminum model they’ve already received. With specifications of a two-year-old flagship and an eye-watering price tag, there's nothing here to look at in terms of value. Especially, when its special 'holographic display' isn't as path-breaking as we thought it would be. Worse yet, RED quietly canceled the modules which were initially promised, cutting off hope that this would end up being a cinematographer’s best friend. However, if you do have a lot of cash to burn and you've waited this long to get your hands on this 'limited edition' variant, you can head over to RED's website and get yourself one.